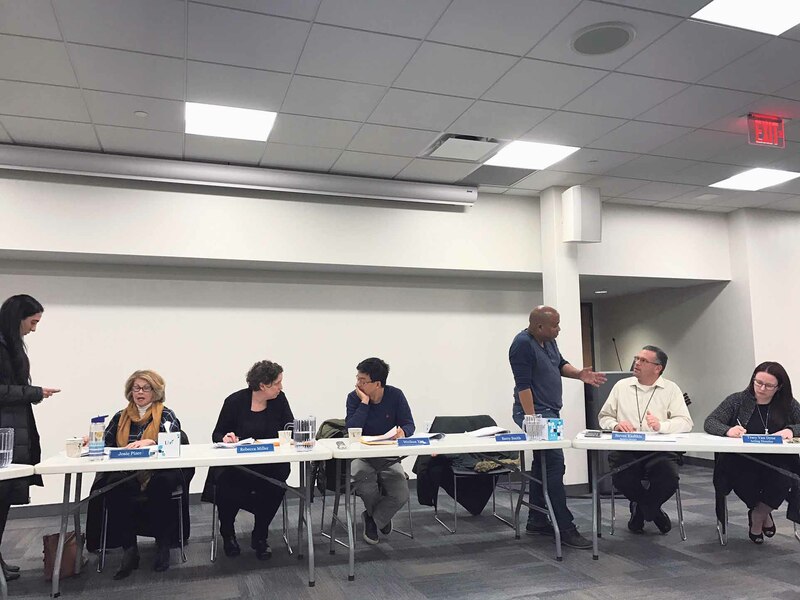 Great Neck Library Board of Trustees adopted the 2019–20 budget on April 2. The Great Neck Library Board of Trustees held a hearing and adoption for the library’s 2019–20 proposed budget on Tuesday, April 2, at the Main Library. 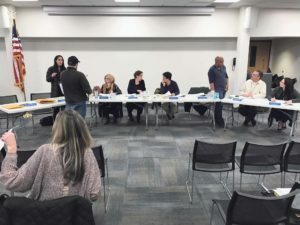 The changes made and discussed at the two previous budget workshop meetings at the Station Branch on March 12 and the Parkville Branch on March 28 were officially adopted. The meeting was called to order by board President Rebecca Miller. Business Manager Steven Kashkin was then called on to present the final budget review for adoption. The final draft of the document included the operating budget proposal, personnel detail, payroll tax, employee benefits and retiree expense details, along with other supplemental schedules. Input from the acting director, trustees, managerial staff and public comments were all incorporated. The final budget had no provisions for salary adjustments. The budget didn’t propose any tax increases, because the board said it found “no need for additional funding.” But taxes will not be lowered either, because the library’s Aaa bond rating at Moody’s and favorable interest rates were based largely on assurance that tax receipts would not drop below 2014 levels. Highlights from this meeting included health insurance and retiree benefits. Since the last budget meeting, the business director received estimates from New York State for 2020 premium rates. The budget rate projected, at best estimate, was 9 percent. Capital funds have also been included to cover the Bond Retirement Fund. In reviewing the final document, revenue was unchanged, and the director’s position was given an anticipated start date of Sept. 1. One open full-time library position and one part-time library position was pushed to a January 2020 anticipated hire date. A head clerk position was moved to Aug. 1. This $3,000 reduction was used, in part, to fund a Public Library Association (PLA) conference. Moving the position start dates enabled $70,000 to be moved to the Bond Retirement Fund. The reasoning for pushing the librarian start dates to January was due to the fact that the Parkville Branch will be closed for renovation for some time, and employees from that branch will temporarily shift to other branches. Board President Rebecca Miller called for a motion to close the meeting and make an official adoption of the budget. She thanked the board members for their hard work on the budget adoption and thanked the public for its input. The next Great Neck Library Board of Trustees meeting, originally scheduled for Tuesday, April 16, will now be held on Monday, April 15, at 8 p.m. in Main’s large multipurpose room. Ryan Harvey is a student at The Village School.